We undertake private drainage surveys to determine the connectivity, pipe size, cover levels & invert levels of non public sewers. The information obtained is then processed and the two documents are produced. 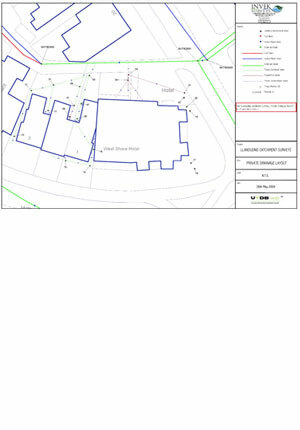 One document to illustrate the private sewer network and the other, a schedule, to provide the information on each private manhole surveyed.